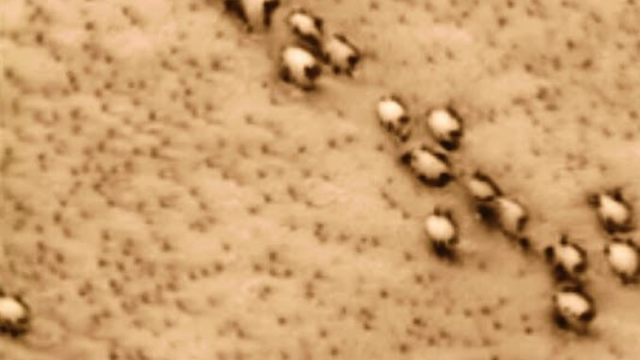 After checking out some images from Mars missions I decided to go and check out some other images and I came across this (what looks like an ancient bridge). I just can't believe that it was in the very, very first image! Is this an ancient relic of a past civilisation that was once on Mars. I literally just did a game of darts and picked at random an image which then I enlarged the image and there was what definitely looks like a bridge because I can even make out the shadow underneath the spanning platform. I suppose coming across this was all down to luck. It even looks like a bridge that you walk up like a ramp - on the left side and then it either has a lift to take people down or something else? This image is a huge strip image and it was just staring at me because I zoomed right in on it and pinch zoomed the rest of the way. I thought this can't be a blooming bridge because as I say it was literally the first one I looked at. West Arabia crater MSL candidate site 26 of 33 09 Nov 2006. Mars Global Surveyor, Mars Orbiter, Camera images of Candidate 2009, Mars Science Laboratory, Landing Sites/Regions. Data Acquired October 2005 – September 2006 (S11 – S22). 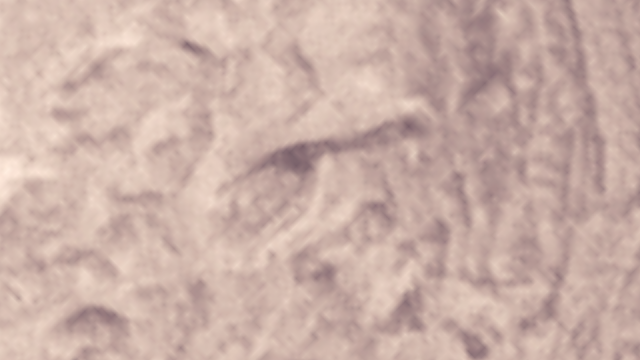 The above image is a full zoom out of the actual area from where the image strip is located. This image is an idea of just how big an area of which the images cover? It's an eye opening sight. the image below is from halfway down the image strip and shows me what looks like water? So this could be two anomalies in one image? Imagine what else is in the other images as this is the first one I checked. 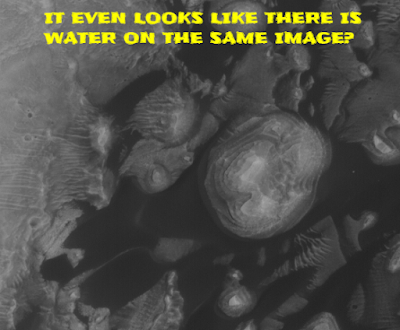 Seriously it looks like there is even water on the same image? 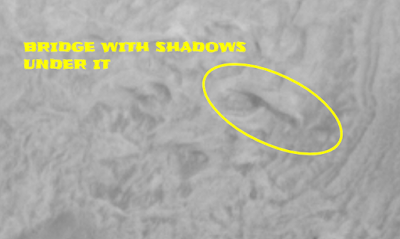 It's a bit lower down on the same image and keeping to the right side for both anomalies. All the links to these images are in this post. Guys, if you get any spare time I suggest that you check out some images from Mars as there is still amazing things to discover. 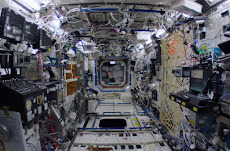 Source Malin Space Science Systems (MSSS). Source Reference NASA Mars Archive. Source Mars Global Surveyor Program. Source Reference Mars Orbiter Camera. Source Reference Mars Orbiter Camera geodesy campaign (pdf). Thank you for leaving a message, your comments are visible for the world to see. Your comments are vital to a good experience for other users and I thank you for taking time out to leave a comment. Ancient Astronaut Figure Carved In To Cathedral Has Been SOLVED! If You Appreciate USF Please Consider A One Time Contribution Towards Running Costs, Thank You. The Wow signal was an Alien signal on a natural frequency. 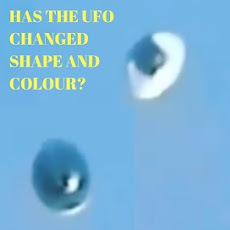 UFO changing shape in mid-air looks like a different UFO but it's the same one. It all starts with NASA lying about UFOs. I only ask that you give us a link, back to UFO Sightings Footage UK Blog Home Page with our name thank you. That is a standard request which we use, it's just so that you don't need to worry about contacting us. Ufosfootage (our shortened name) has been featured in many publications which is mainly online. Here's one featured post that we're particularly proud of. The newspaper is called the DailyStar and as it was our very first feature from a third party news source, as you can imagine we was very happy. We've also been voted by Feedly for the best Ufology blog in the United Kingdom (UK) and we actually came in second place - out of all the UK UFO blogs. We was "only" voted on statistics alone and clinched second place because our statistics are good. Please check it out here. The post that we was featured on the Daily Star was called "Dinosaurs and humans may have lived together after a shock find in ancient temple carvings". 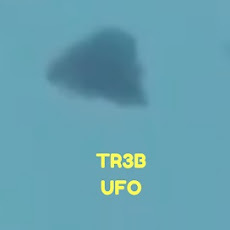 Is a TR3B actually an unknown aircraft or a UFO or is it a known aircraft. Make your own mind up without other people influencing your decisions. Back engineering UFOs from crashed Flying Saucers. 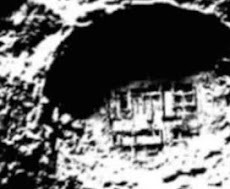 Does this prove once and for all that Aliens did have an influence on ancient mankind. Built to last or is it built to last in space. This is a great discovery on Mars. The skull is just as a skull would look like. A recovered Alien nicknamed Mona Lisa because of how she looked to the Astronauts. 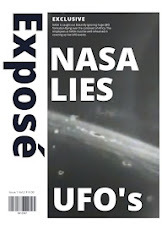 NASA lies and the UFO videos from space which proves UFOs are real. 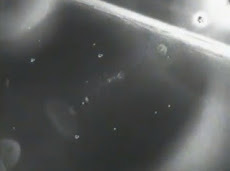 UFO Sightings Footage 2019 ©. Simple theme. Powered by Blogger. This site contains copyrighted material the use of which has not always been specifically authorized by the copyright owner. We are making such material available in an effort to advance understanding of conspiracies, lies, cover ups and environmental issues, political injustices, human rights abuses, economic manipulation, democratic values, scientific, and social justice issues. 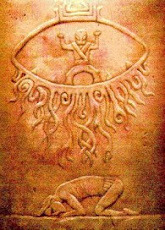 Also to understand UFO sightings, Aliens and other hidden agendas. We believe this constitutes a fair use’ of any such copyrighted material as provided for in section 107 of the US Copyright Law. In accordance with Title 17 U.S.C. Section 107, the material on this site is distributed without profit to those who have expressed a prior interest in receiving the included information for research and educational purposes. The opinions and viewpoints expressed on the UFO Sightings Footage articles are not necessarily those of the UFO Sightings Footage owner, webmaster, or staff members. Each article is attributed to its originator, which is listed in each entry, when available. *Whenever USF references or quotes any other information/source(s) we never change the wording, spelling or add or take away any writings done by the sources in which we are referencing and quoting. If that is the way a testimony was written, then it is the person's own words so we cannot, will not "ever" change that or any wording, phrase, analogy, terminology or misspelling. We feel this is respectful research and that this is the correct way to reference and quote people.